(PRE ORDER – READY TO BE SHIPPED MID AUGUST – This Edition is going to be hugely popular! 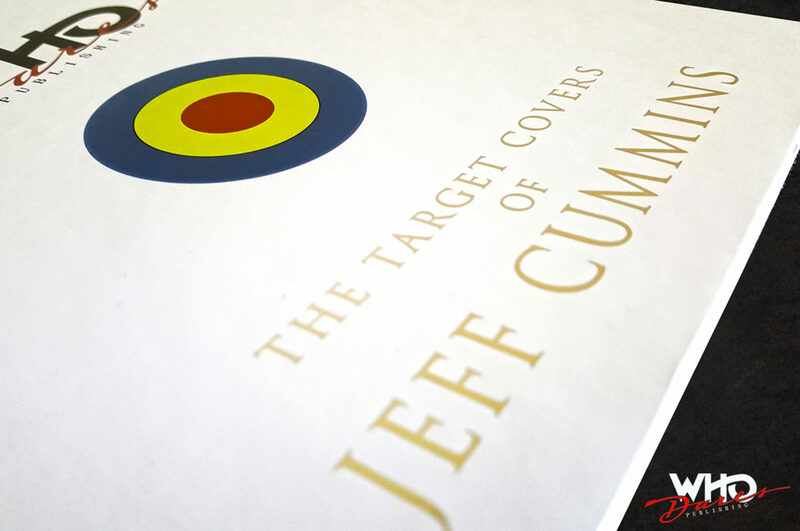 BONUS Soft Enamel Target Badge, 24mm in size with gold plated rear and butterfly fixing. 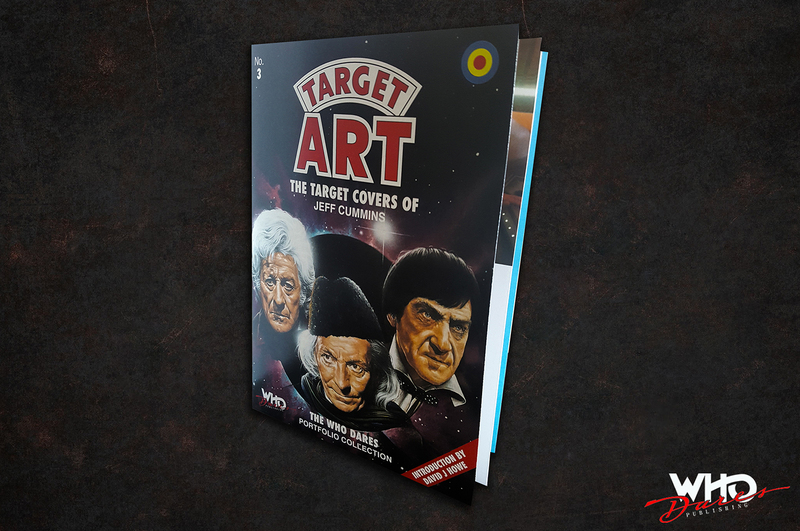 Who Dares brings you Number 3 in this ongoing series of Limited Edition Portfolios featuring a Target Book art themed selection of the Doctor Who W H Allen Target Cover Art as painted by legendary Doctor Who Artist, Jeff Cummins. 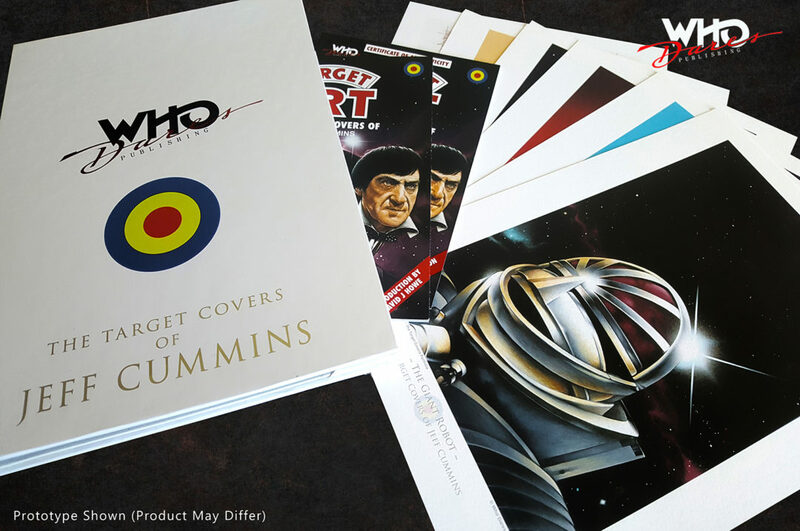 Six stunning A4 size prints each signed by the artist! 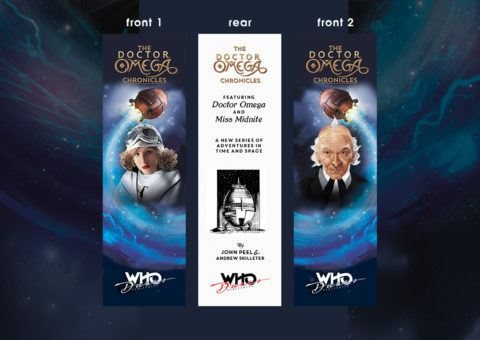 These are presented inside a bespoke, hand made, hardback portfolio folder designed to sit on your bookshelf with other large format books and annuals. Introduction by David Howe.